It is the premise of this post that economics is objective and therefore can be a hard science, based on empirical observation, logic, and reason. Some clear objective results in economics include that failure of a person to produce (consume) enough food results in starvation and death. It does not matter how much someone feels or believes (or has faith) that they should not have to produce (consume) enough calories, they will starve to death. There is overwhelming empirical evidence for this proposition, including the purposeful starvation of numerous people by totalitarian governments in the last century. Another example is that if the government raises the cost (or reduces the return) of performing an activity, you will have less of this activity than would have occurred without the government interference, as long as you have statistically large enough group. For instance, if a government raises the cost of food or reduces the return for producing food enough people starve. The empirical evidence includes numerous African countries that have held the cost of food below the cost of production and this inevitably results in mass starvation. This is true no matter how much faith the government has that it should not occur, or how much they feel it will not occur, or how much they believe it should not occur. Similarly, a person can deny the existence of gravity, but gravity will act on the person no matter what they believe about gravity. Gravity is not a matter of belief, it is a matter of understanding. It is clear that at least some of the laws of economics are as immutable as the laws of gravity. All science is based on certain fundamental empirical observations. One of these fundamental observations is that reality is objective. This means that reality exists independent of any persons’ belief, hope, faith, or desire. The evidence for this proposition is overwhelming and includes all the incredible advances in physics, chemistry, biology, geology and the applied sciences (engineering). The second fundamental observation of science is that reality is understandable or discoverable using observation, logic, and reason. In science, we follow logic and reason even if it seems counterintuitive. For instance, the implications of special and general relativity predict that clocks on GPS (Global Position Satellites) will run at a different rate than clocks on earth. This appears counterintuitive, but empirical evidence shows that this is true and that failure to account for this difference will result in meaningful navigational errors. If economics is going to be a science, it must be based on these two fundamental observations/assumptions. Some people may object that science is based on observations. It has been shown that all logical systems are based on either an observation or an assumption, in the case of mathematics. For instance, Euclidean geometry is based on the assumption that a line goes on forever and two parallel lines never intersect. Spherical geometry is not based on these assumptions. It assumes that a line will wrap around on itself. In science we do not arbitrarily pick the starting point, we base them on observations. Unfortunately, the science of economics is in the same state as physics before Newton. Life is a fight against entropy, the second law of thermodynamics. Entropy is normally defined as the measure of the disorder of a system. Entropy was discovered as part of thermodynamics (statistical mechanics) and it explains that a perpetual motion machine is impossible. Entropy always increases in a closed system. Luckily for us, the Earth is not a closed system. For instance, we receive energy from the Sun. The only way to increase order is by the input of energy. Life represents increasing order and therefore just to sustain life at its present level requires energy to overcome entropy. Edwin Schrödinger, Nobel Prize winning physicist, proposed this in his 1944 book, What is Life. Plants create this energy by photosynthesis. They convert carbon dioxide into sugars (energy) using light. They use this energy to create order. Animals eat plants or other animals and use the energy to create order. Note that when animals eat plants or other animals, they are increasing the disorder of the plants and animals they eat. Thus, there are two general mechanisms which increase the entropy of life forms: 1) internal and 2) external. Internal mechanisms are those that result from the failure to consume enough calories (energy) and aging. Animals require oxygen, water, and food in that order to survive. Without oxygen, the animal cannot oxidize enough sugar (fat, protein) to survive – overcome entropy. Without water, the animal’s cells are unable to absorb energy and expel wastes. As a result, the animal does not receive sufficient energy to overcome entropy. Aging is a process of increasing disorder – entropy. This disorder is caused at least in part by disorder in genetic information. External mechanisms include being eaten or attacked by other living organisms, diseases, accidents (for animals), and the elements. In general, living organisms use energy to overcome entropy first and then to increase their size. However, some animals also create simple shelters or seek shelter to ward off the entropy increasing effects of the elements and predators. Rain, sun, hail, snow, heat, or cold all contribute to the increase in entropy of living organisms (disorder). A living organism dies when its entropy increases above a certain level. Life has two main methods of overcoming the effects of the second law of thermodynamics: 1) food consumption and 2) shelter creation (inhabitation). A species of life becomes extinct when the species as a whole reaches a certain level of entropy either because it cannot consume enough energy or because external mechanisms increase its entropy to the extinction level. A species reaches the Malthusian Trap when increases in population of the species results in the total required energy (food) to support the population is greater than supply of food. Total available energy is less than the energy required to overcome the total entropy of the species population. Most life forms exist in the Malthusian Trap, including humans until the Industrial Revolution. Homo sapiens also consume food and create shelter to overcome the effects of entropy. Unlike other living organisms, homo sapiens also organize their environment to minimize the effects of entropy. For instance, humans have invented agriculture to increase their supply of food (energy) and therefore order. Humans also harnessed the physical strength of animals, created internal combustion machines, electric lights, electricity, washing machines, tractors, computers, the internet, email, lasers, fiber optics, etc. 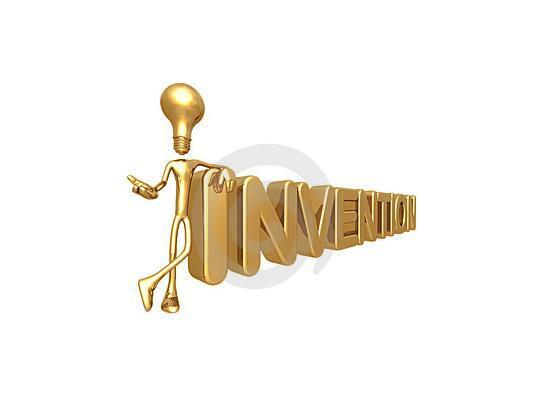 All of these are inventions. Humans alter their environment by creating inventions. This is different from every other animal. This should not surprising, since the distinguishing characteristic of homo sapiens is their ability to reason. Man is a rational animal according to Aristotle’s classical definition. Being rational is the distinguishing characteristic of humans. Man uses his reason to alter his environment (invent) and increase order for himself. Invention is the unique way in which man is able to create order – this is the fundamental observation of economics. Fundamental Observation of Economics: Man’s unique ability to increases order (wealth) is his ability to invent. Inventing first results in the increased success of the species. Homo sapiens populated most of the world in less than 500,000 years because of this unique ability. As long as the rate of technological progress is slower than the growth in population, man is stuck in the Malthusian Trap. Sometime around 1800 in Europe and the United States, the rate of invention exceeds the rate of growth in population and man escapes the Malthusian Trap at least in the West. When man escapes, he is no longer subject to biological evolution. As far as we know, homo sapiens are the only species to ever escape the Malthusian Trap. England may be so circumstanced, that to produce the cloth may require the labour of 100 men for one year; and if she attempted to make the wine, it might require the labour of 120 men for the same time. England would therefore find it in her interest to import wine, and to purchase it by the exportation of cloth. To produce the win in Portugal, might require only the labour of 80 men for one year, and to produce the cloth in the same country, might require the labour of 90 men for the same time. It would therefore be advantageous for her to export wine in exchange for cloth. This exchange might even take place, notwithstanding that the commodity imported by Portugal could be produced with less labour than in England. Using the example above if England produces twice as much cloth as it needs, it has invested 200 man hours. If Portugal produces twice as much wine as it needs it has invested 160 man hours. Now if England and Portugal trade their excess cloth for the excess wine, England has invested 200 man hours for all its cloth and wine, while Portugal has invested 160 man hours for all its cloth and wine. If England had produced both all its cloth and all its wine locally, then it would have invested 220 man hours for the same goods. This means that England requires 10% more man hours if it does not trade. If Portugal had produced both all its cloth and all it wine locally, then it would have invested 170 man hours for the same goods. This means that Portugal requires 6.25% more man hours if it does not trade. Trade is a rational activity and humans are the only animals to engage in trade of non-like items and trade between non-related individuals. Classical economics has focused on trade and the related supply and demand curves instead of the role of invention in economics. This might have occurred because the beginning of classical economics was in reaction to the Mercantile system and its limitations on trade. Adam Smith’s book, The Wealth of Nations, is often seen as a refutation of the Mercantile system. Matt Ridley, in his book, The Rational Optimist, has suggested that trade is the key to creating wealth. This emphasis on trade has been misplaced. Invention proceeds trade. If everyone produces the same thing, then there is no reason to trade. It is only because someone has invented a new product that trade becomes a rational choice. For instance, one group of people may have invented a process for skinning animals and using them as clothing. They may have traded this with people who had access to flint and invented a system for making simple axes. Invention has to proceed production, which has to proceed trade logically. Of course, without trade the value of invention is severely diminished. Hard science, such as physics, chemistry, and biology, as opposed to “soft science”, such as psychology, sociology, and political science. In general, soft sciences are not science at all. For instance, Freud’s formulation of the id, ego, and super ego is not science. This formulation is not testable and is not based on objective empirical evidence. In fairness, psychology to the extent it is based on neurobiological processes is real science. The first step in any science is categorization and psychology has attempted to categorize various behaviors. Unfortunately, many of these categorizations are too vague to be testable or objective. As we have gained more information some formally vague definitions have become objective. Political science is not a science it is a study of politics. Sociology also has no basis in science. This is not to say that there is no value to studying politics or the interaction of groups. History and literature do not call themselves a science, but there is great value in the study of history and literature. History even uses science to discover new facts about history, but it is not a science. The soft sciences use the nomenclature of science to aggrandize themselves. This propaganda has undermined the value of science in the eyes of the general public. Even the bizarre results of quantum mechanics are repeatable and independent of the observer’s hopes, desires, faith, opinion. Real-World Relativity: The GPS Navigation System, http://www.astronomy.ohio-state.edu/~pogge/Ast162/Unit5/gps.html, October 3, 2010. Wikipedia, What is Life?, http://en.wikipedia.org/wiki/What_is_Life%3F_(Schrödinger), 10/6/10. BNET, Physiological Effects of Dehydration: Cure Pain and Prevent Cancer, http://findarticles.com/p/articles/mi_m0ISW/is_2001_August/ai_78177228/, 10/6/10. Hayflick, Leonard, Entropy Explains Aging, Genetic Determinism Explains Longevity, and Undefined Terminology Explains Misunderstanding Both, PLoS Genetics, http://www.plosgenetics.org/article/info:doi/10.1371/journal.pgen.0030220, 10/7/10. The Philosophy of Aristotle, Adventures in Philosophy http://radicalacademy.com/philaristotle4.htm, 10/7/10. Ridley, Matt, The Rational Optimist: How Prosperity Evolves, Haper Collins, New York, 2010, p. 75. Ridley, Matt, The Rational Optimist: How Prosperity Evolves, Haper Collins, New York, 2010, p. 56.